It is this method of fracturing oil-bearing rock deep underground that has opened up vast oil fields in North America. But it’s expensive, so if the oil can’t be sold at a certain price, fracking is not worth the cost. But this is not bad news. It’s the way the market is supposed to work. The high price of crude in recent years encouraged oil extraction by new methods and opened up new fields. A growing supply puts a damper on high prices. Pricing is the way that supply and demand stay in rough balance. As long as the process is allowed to work, everything is fine. The decline in the price of gas this fall is the result not just of a bigger supply of petroleum but also of seasonal forces. 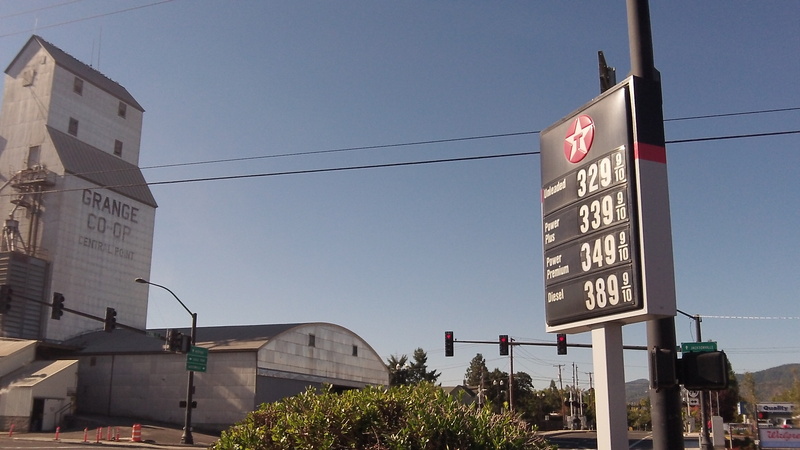 Whatever the cause, all of us who rely on the availability of motor fuel at an affordable price have reason to welcome the lower numbers shown on gas station signs. It is also gratifying to see prices drop despite efforts by the Obama administration and environmentalists everywhere to make life harder for the oil business. Obama refuses to allow the Keystone pipeline expansion that would allow more Canadian oil to flow south to the Gulf state refineries. Demonstrators and some state and local agencies object to oil being carried by rail. They also fight the construction of shipping terminals in the Northwest. Why don’t we just grow Hemp and make fuel from it instead? So good for the air and soil – what a concept! Hemp may indeed be the fuel of the far-out future. But first we have to ween ourselves off oil and that will only happen when technology advancements in extraction stop happening and the known reserves start to decrease. In other words, many generations from now. Second, we have to change our mindset that associates hemp as marijuana. This is a cultural issue and will require a higher form of thinking. (Sorry about the puns, I’m guilty of the same mindset I decry). Since 2006 U.S. oil imports have been falling dramatically due to the domestic production boom, much of it in North Dakota and Texas. It has reached a point where the U.S. should allow more exporting of domestic oil and gas products. This would provide a double whammy: a real economic stimulus and stronger national security. Unfortunately, given the current Senate and President, this common sense move hasn’t happened. Hopefully next month’s mid-term election and the 2016 general election will put us on the right path.